Although summer is coming to an end, there is still plenty of time to enjoy the outdoors with your child. Summer is a great opportunity to do fun activities outdoors with your child, and helps encourage good habits by spending quality time in nature. Not only will your child appreciate that they are able to explore the world around them, the lack of electronic devices while outdoors will teach your child to enjoy the present moment. For this reason, we have compiled a list of 10 fun outdoor activities you can do with your child before summer soon transitions to fall. 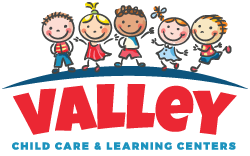 If you live in Phoenix, Chandler, Tempe, Surprise, or the surrounding areas, and are searching for a day care that believes in offering high-quality care and education for your child, visit Valley Child Care and Learning Centers. We have been a family-owned-and-operated child care center since 1967, and have refined proven care and teaching methods to ensure that your child can develop their emotional, social, and physical behaviors in a safe and welcoming environment. 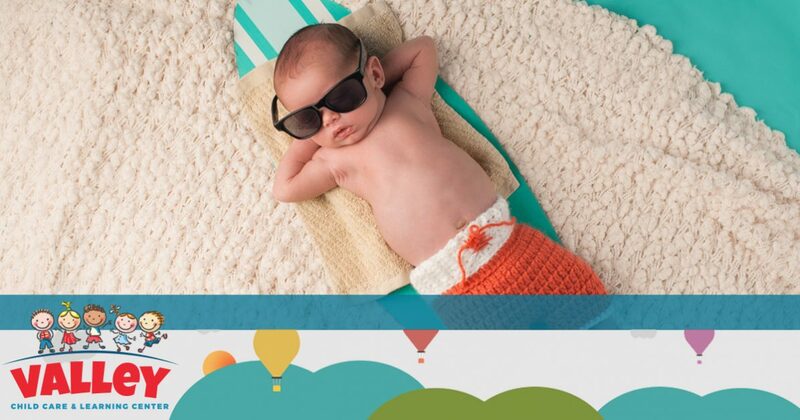 To learn more about five summer activities to do with your child, continue reading below! The act of simply taking your child outside to play at a community park can help exercise your little one’s imagination, while also placing them in an environment to improve their social skills with other children. Not only can playing at a park teach your child how to interact with other children, it can also show your child that there are many fun activities waiting to be explored outdoors. Many children spend too much time indoors using electronic devices which can be detrimental when trying to develop real life problem solving skills and critical thinking. By taking a trip to a community park, you can give your child the opportunity to stimulate their imagination while also teaching them how to live a healthy lifestyle by taking part in different physical activities. Swimming is not only a healthy aerobic exercise for both children and adults, it is also a useful skill to learn while young so that it can be developed throughout one’s life. There will be times during your child’s life where they will swim without adult supervision, which is why it is important to teach the proper swimming techniques early on in their life so that they will be better equipped for the future. This is also a great time to teach your child about safety while being around or in a body of water. By taking a trip to the community pool, or enrolling your child in instructed swimming lessons, you can give your little one the opportunity to make new friends while learning a practical skill that they will use for the rest of their life. Libraries contain a wealth of information that is waiting to be discovered by all of those who enter. Spending time with your child at the library is an excellent way to improve their reading abilities while helping them learn new bits of information about the world around them. Giving your child a library card will also help them feel like they are special, making them more inclined to ask you to take them back to the library on different occasions. Most libraries will hold special events for kids during the summer, making it the perfect time for your little one to read a variety of books to help develop their imagination. Visiting local libraries is also an effective method for teaching children the importance of books while minimizing the amount of screen time they receive throughout the day. In modern times, many children are not aware where their food grows or how it even arrives in stores. Taking your little one to a local farm that lets customers pick their own produce is a fun activity that will also teach kids how their food grows and where it comes from. What your child will love most, however, is tasting the delicious fruit which they picked directly from the plant. By giving your child a deeper understanding and connection to the food they eat, you can teach your child mindfulness that will branch out into other areas of their life during their developmental stages. There is no dessert made over a fire that kids enjoy more than s’mores. This fun activity allows your kid to build and create a delicious treat from several different ingredients at once. Roasting mallows can teach your child the basic fundamentals of cooking while showing them that the best things in life take patience and dedication. You can make your time roasting marshmallows even more meaningful to your child by telling them interesting campfire stories that will keep their mind engaged and active while they enjoy their ooey gooey dessert. The activities listed above are just a few great ways to escape the indoors and begin exploring the outdoors with your kid. In part two of our series, we will look at five more fun outdoor activities that you can enjoy with your child. If you would like to learn more about our day cares or learning centers, view our rates and services, or would like to enroll your little one in our child care program, simply visit our website today! Our highly qualified professionals look forward to meeting you and your child!